John Jennings Boyd. Photo by Rob Tavaglione. © 2013. 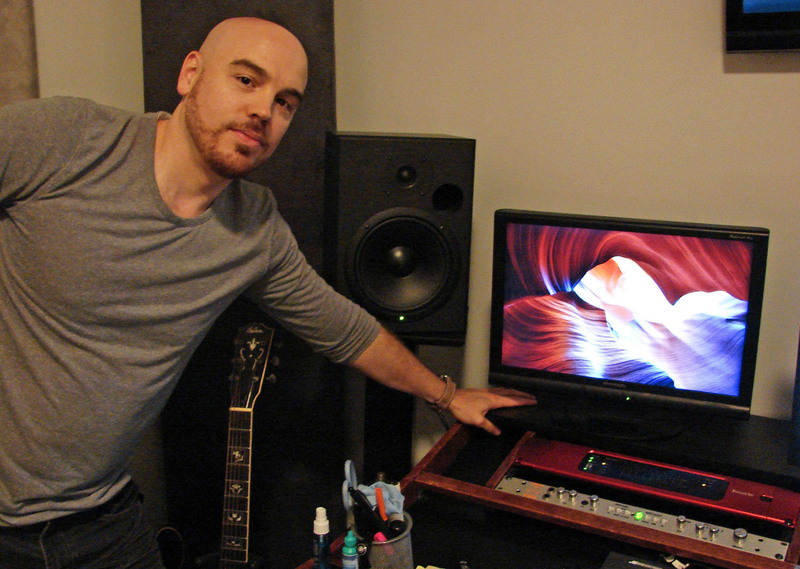 Los Angeles, CA, December 3, 2013 – RedNet, Focusrite’s acclaimed range of Dante-based Ethernet-networked studio interfaces has become the new and simplified signal transport infrastructure for film and television scoring composer John Jennings Boyd. Working from his Hollywood, California recording studio, Boyd (whose music can be heard in blockbusters like Smurfs 1, Smurfs 2, and Four Christmases as well as on the small screen in HBO's How to Make It In America, Discovery's Life, CBS's 48 Hours, and dozens of shows across most major cable networks) is using a RedNet 1 A/D – D/A audio networking-capable interface to connect two computers, each running a RedNet PCIe card. Each PCIe card delivers up to 128 channels at 3ms roundtrip latency. Now, via a few standard Ethernet cables all connected together by a network switch, Boyd can sequence live music on Cubase from one of the computers and stream that audio directly to the second computer, which is running Pro Tools, over the network with virtually zero latency. What once required complex copper snakes or MADI cables, now has been simplified and made far more efficient. Photo Caption: John Jennings Boyd. Photo by Rob Tavaglione. © 2013.